Real-time logistics projects meet profitability and open the door for a new and deep perspective of the material flow. 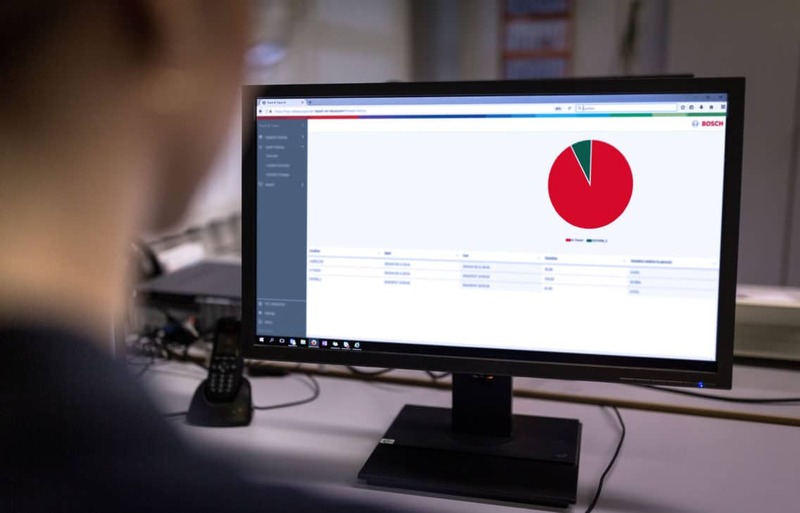 Matthias Hülsmann explains, how full transparency of current and historic data combined with real-time steering of the material flow are becoming the guiding principle of digital logistics. Industrial revolutions don’t happen overnight. Everyone who has been active in logistics knows that innovations take especially long in the supply chain ecosystem. When we speak about digitization, we automatically picture a fully connected supply chain. Logistics objects, assets, humans – they are all connected with each other. The complete supply chain is transparent and agile. Constantly increasing customer expectations and short product lifecycles set the pace. logistics planners spend approx. 20-30% of their time gathering status information and coordinating non-transparent material flow processes. There are still many optimization potentials hidden in the supply chain. But most importantly, we also know from practical experience that logistics is a stressful business, especially for the staff involved. Powerful tools, IoT technology and real-time information are available. Let’s use them in a pragmatic way to make life easier for logistics people! With the advent of affordable digitization technology, it is time for a paradigm shift in logistics – from ERP-based document flow management to real-time IoT-based steering of the material flow. Obviously, the document flow in the ERP system remains important for what it was designed for: managing the business process, such as orders, confirmations, invoices. This remains the so called digital core. However, the time lag of document flow data compared to real-time material flow was and still is the main root cause for many logistic pain points. optimize resources by 30% with visualization, dynamic routings and “next best order” algorithms. Evidently, reacting to real-time deviations is already an important step. But avoiding deviations in the first place is even better. Historic real-time data and algorithms based on machine learning make a proactive supply chain management possible and unleash the true data power. Take the tracking history of logistics assets: track records of transport boxes show that they often move as little as 8% of their available time. So-called hidden pockets (when assets are stored somewhere without being used or when they are being used for other than logistic tasks) are easily identified. This makes it possible to eliminate or reduce regular reinvestments in these moving assets for many years. Connecting logistics, production and employees. In daily work, uptime improvements of up to 30% do not come as a surprise: significantly fewer assets are needed for the same amount of transports. This, in turn, leads to a cutback of often oversized moving asset stock. Moreover, heatmaps can display hotspots and bottlenecks in the transportation flow. As soon as they are known, they can be counteracted, and targeted infrastructural improvements can be implemented. Digging deep down into the available data helps to understand regularly occurring patterns. Hence data mining provides valuable information about the why, where and when of events and anomalies, which leads to more informed decisions and planning. Last but not least, the smart data history of assets can be used as a basis for proof of liability in case of damage. It also enables a precise rental accounting, which enforces the cost-by-cause principle. With a mass-scale adoption, pragmatic real-time logistics overcomes the shortfalls of document-flow logistics between ERP systems with many media disruptions and different interfaces. Pragmatic real-time logistics is based on easy-to-use and affordable IoT technology which delivers the data from the supply chain processes – and enables an important change of perspective: by focusing on the pain points in the user story, pragmatic real-time logistics is all about making the material flow visible to logistics staff and empowering employees to actively steer it with real-time tools and services. In doing so, pragmatic real-time logistics becomes the “guiding principle” of logistics and, in a nutshell, shows the fascinating future of real-time supply chain management. 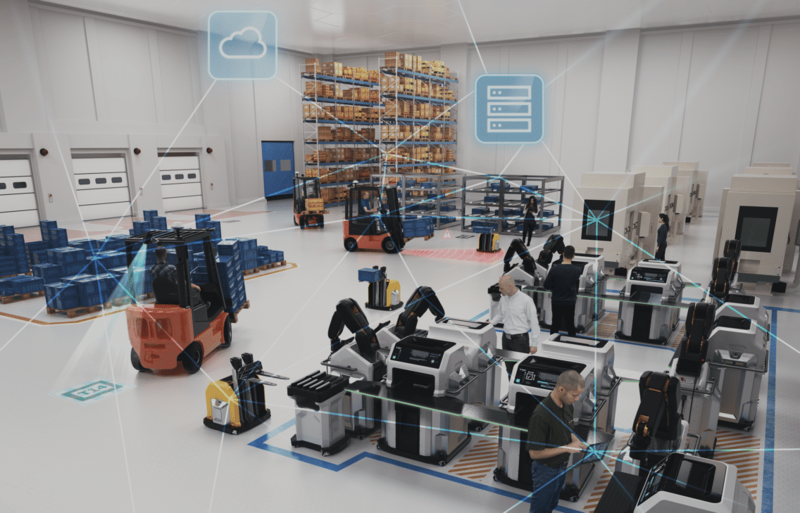 The post Pragmatic real-time logistics – a new material flow paradigm appeared first on Bosch ConnectedWorld Blog.